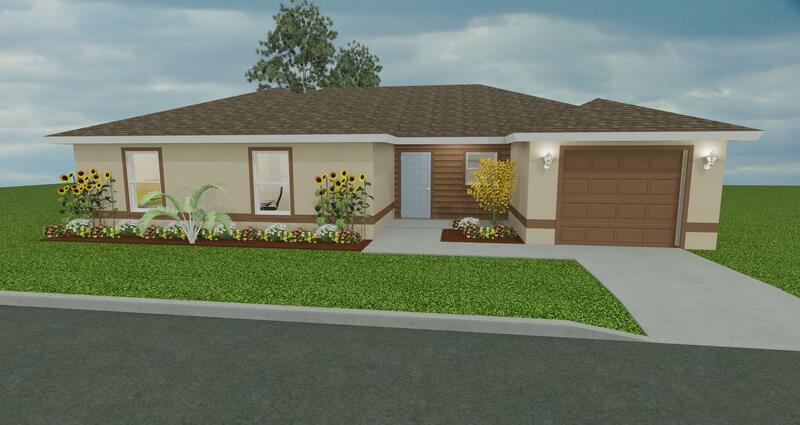 The Jay is a four bedroom, two bathroom home with 1,403 square feet of living space. The home features a country front porch and a one car garage or carport option. From the garage, enter into the laundry room. 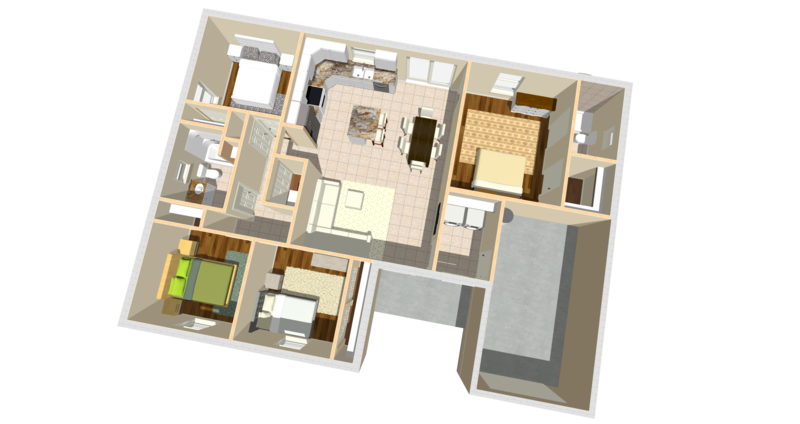 This home has an open, great room and split bedrooms floor plan design. The master bedroom has an ensuite bathroom and dwalk-in closet. The kitchen includes a stainless steel full appliance package,an optional island with bar seating, and a family dining space large enough to comfortably fit a six person table.